Believe it or not, Switzerland isn’t the only country in the world with picturesque mountain hamlets. 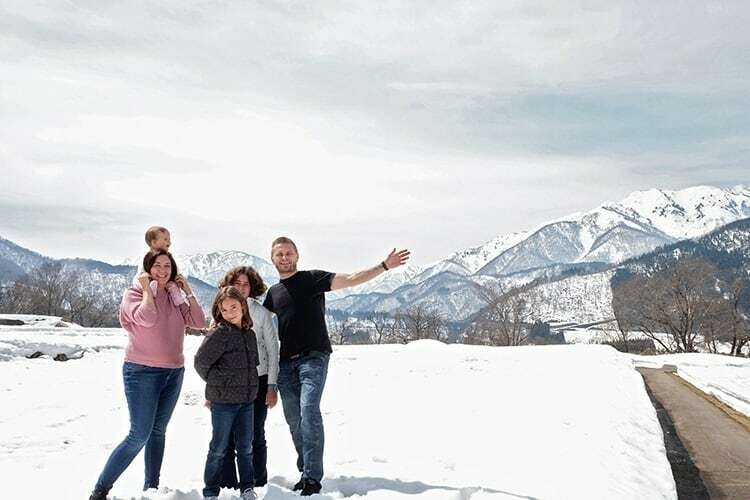 Far away from the neon-bright cities of Tokyo, Yokohama, Nagasaki and the rest, there lies an utterly different Japan! 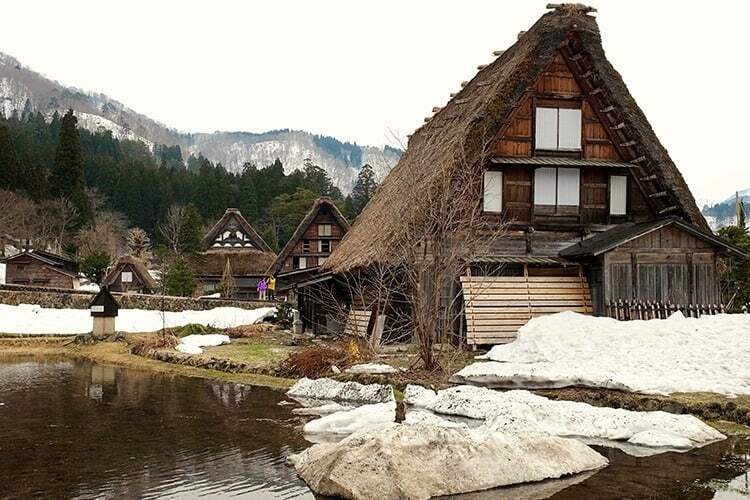 Known as the Ogimachi Village, few places in the world can be as pretty as this quiet village at the Shirakawa-go in Gifu Prefecture. Perched in the shadows of the Haku Mountain, which is one of the three most sacred mountains in Japan, the Ogimachi Village is a place populated by beech forests and incredibly unique traditional villages that are unparalleled in any other part of Japan or the world. 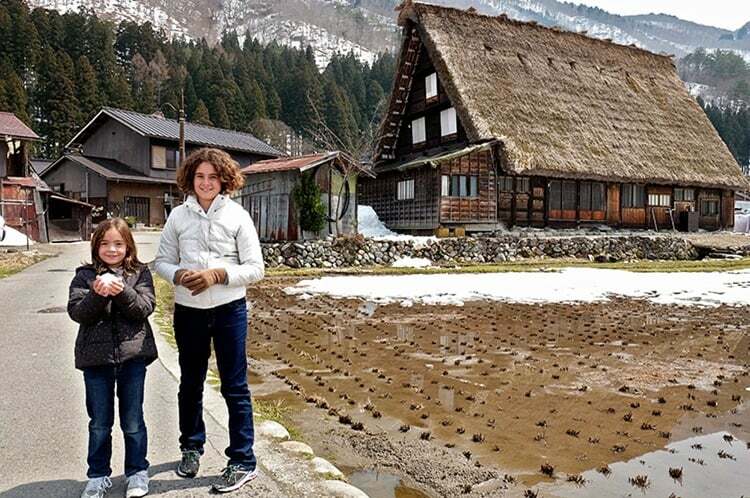 With 152 unique households, the Ogimachi Village scored a UNESCO World Heritage listing in 1995. 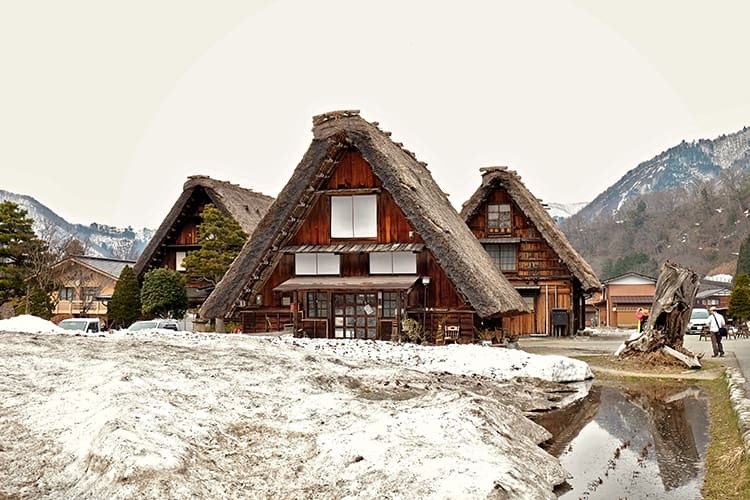 The main reasoning behind its listing was the 117 beautifully preserved gassho-style thatched houses, which are intentionally designed with their sharply sloping roofs to withstand the harsh and unforgiving heavy snows that are a constant presence in the area. Despite the general beauty of this area, these houses remain the main attraction of this intensely amazing area. 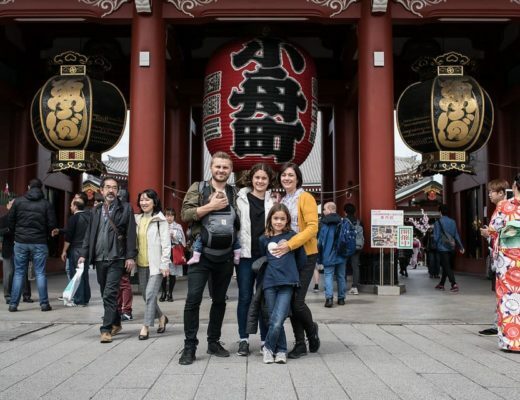 Following the ancient Japanese style of construction, the houses are built with wooden beams that are bound at the highest end of the sturdy roofs that are often compared to two hands put together in prayer. 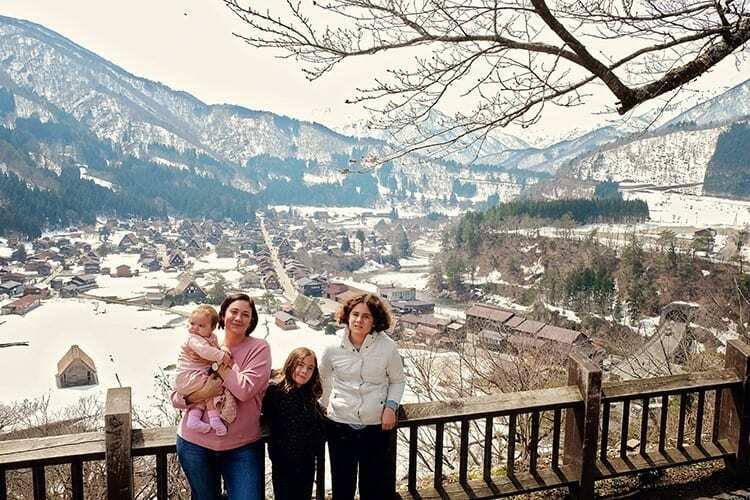 Historically speaking, the Ogimachi Village began as part of the Shirakawa-go/Gokayama area way back in the 12th century. It’s located on a beautifully terraced plateau on the east side of the Sho River. To make it easier to walk around, the village is designed in such a way that it’s dominated by a 6-meter wide road that effectively runs from the north to the south and through the center of the village. 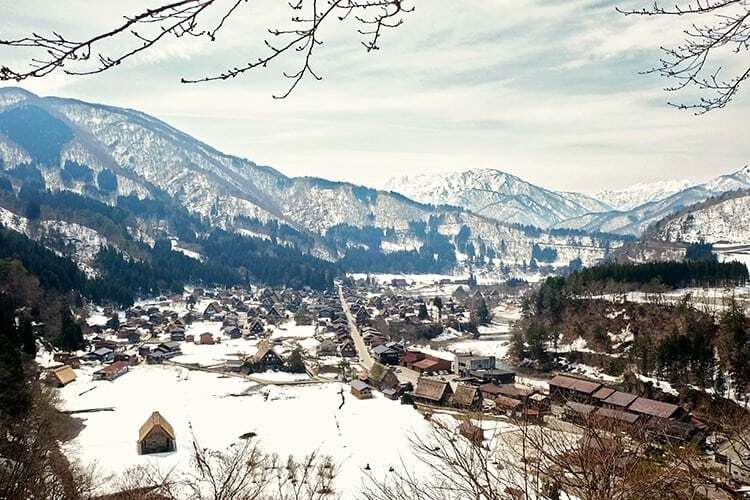 Despite looking like a picturesque Swiss Alps village, if not better, the crescent-shaped village of Ogimachi is a sight to behold! 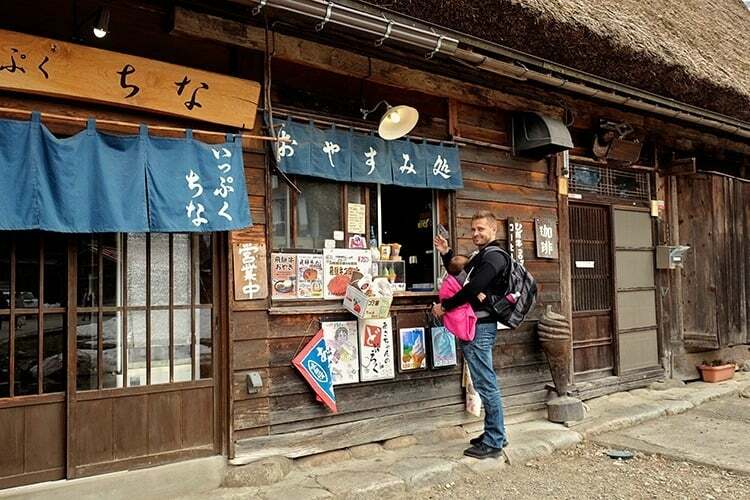 It’s dotted with gassho-zukuri thatched-roof houses that are set on the ancient times and fiercely battling against the modernity that has engulfed every other part of Japan. This area still holds on to the ancient Japanese traditions and there’s no indication of it letting go anytime soon. 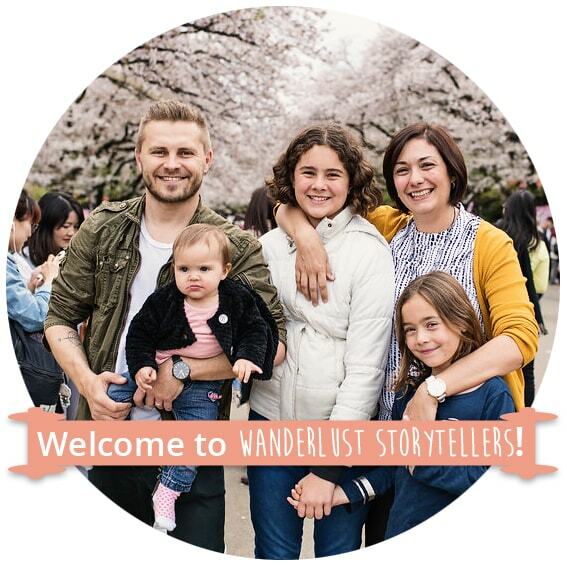 Villagers hold dearly to the traditional lifestyle not because it acts as a tourist attraction, but because they believe that it’s their way of life, thus they have to protect it. 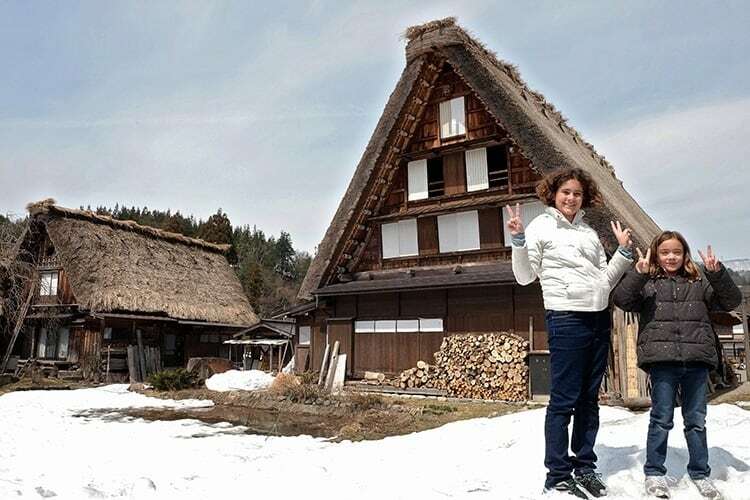 As one of the most popular tourist destinations in Japan, Ogimachi Village and the Shirakawa-Go in general, has had to deal with the problem of balancing between the landscape and cultural preservation and tourism. To deal with this concern, villagers recently voted to limit the number of tourist buses that should be allowed to access the village. While this may reduce tourism revenue, it’s a proper attempt to revitalize this unique village. 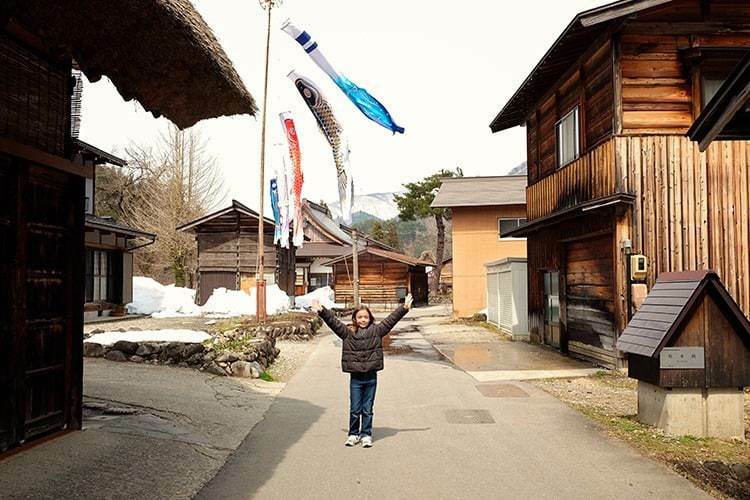 Here is a video to show you how much fun we had at Ogimachi Village! 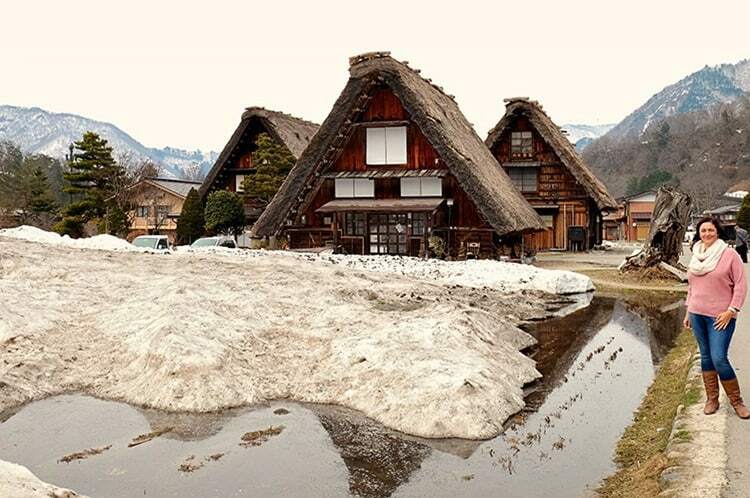 As noted above, the main attraction in Ogimachi Village is its extremely unique houses. Separated by individual plots of land that are cultivated, these houses reflect the basic historic pattern of the ancient Japanese way of living of peaceful coexistence. For instance, there are no fences, walls or hedges to act as boundaries. Instead, boundaries are defined by roads, which are open to just about every villager. The lands that surround the houses are irrigated rice fields or dry crop fields. The fact that they’re irregularly shaped make the entire place look even better. You can get a beautiful look from up high over the village and valley. The look is located where the castle Shiroyama Tenbodai used to be. You have two options of getting there. You can either tackle an uphill wall that will take around 15 minutes, or you can grab a seat on the shuttle bus. 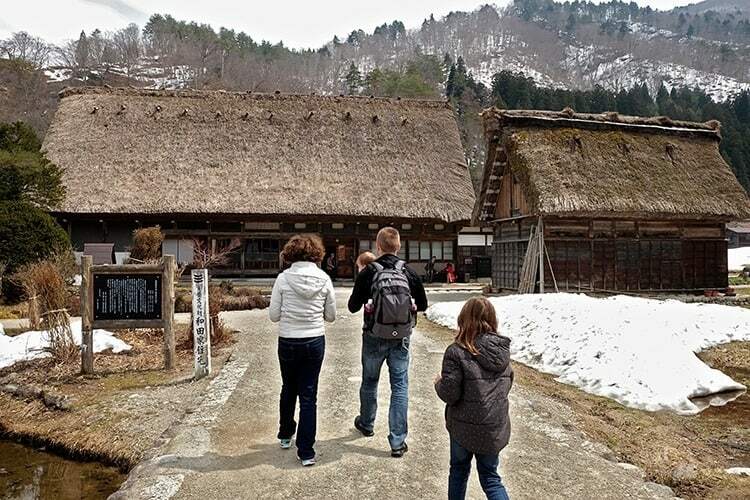 The shuttle bus leaves from the Shirakawa-Go bus stop and will cost you around 200 Yen (US$1.60) one way). This is a Shinto shrine that preserves the guardian deity of the village. As a place of great importance to the village, the Hachiman Jinja is located south of the village at a place where the holy Haku Mountain reaches closest to the river. 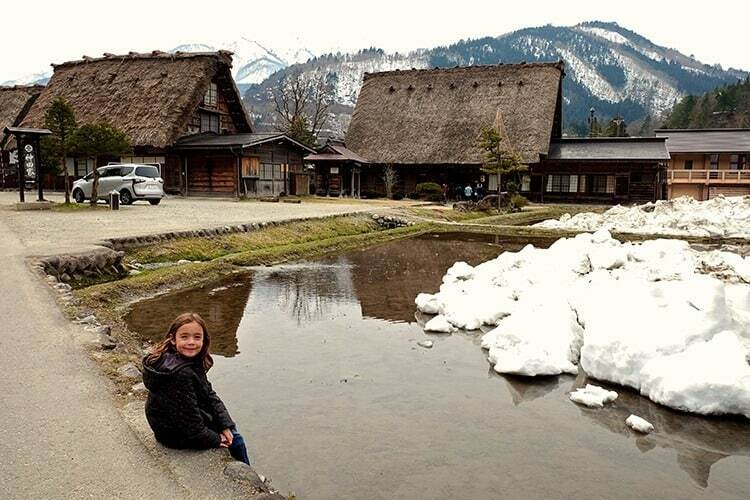 The Wada House is easy to find as it is the largest gassho-zukuri building in Ogimachi village and Shirakawa-go. Interestingly enough, it used to belong to one of the wealthiest silk-trading families. It dates back to the Edo period (1603-1868). You can have a wander through the museum to see some displays. Upstairs you will find all the equipment used for silk harvesting and you can also get a lovely view over the village from there. 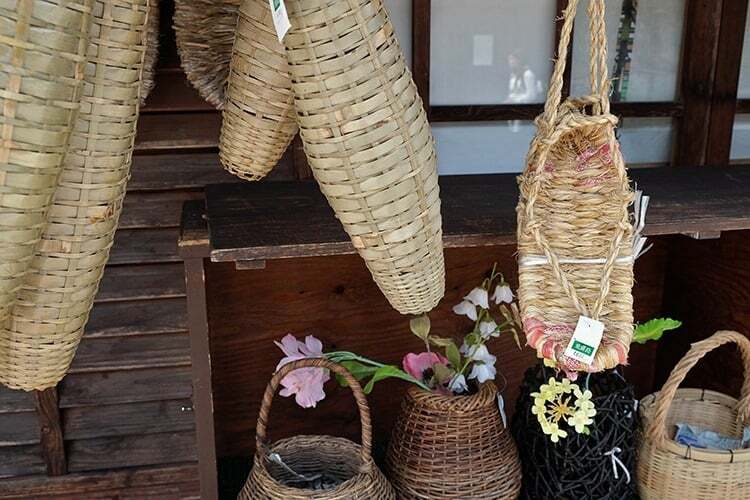 The opening hours of Wada house are 9:00 – 17:00 and there is an entrance fee of 300 Yen (US$2.5). Also located at the foot of the mountain and on the northeast of the Hachiman Jinja, these temples are located on the opposite of the main road. The village has a few select restaurants. On our visit only one of these were open, so it wasn’t hard to figure out where to eat! We enjoyed a Japanese curry there and it was pretty tasty. 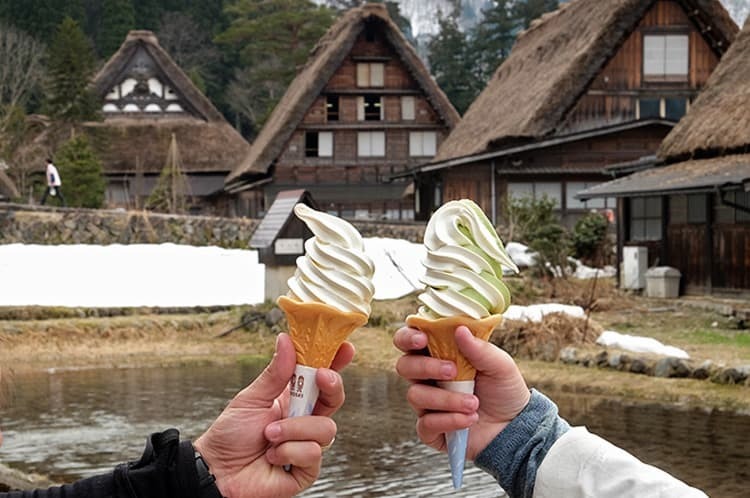 And don’t forget to grab some matcha soft serve at the furthest end of the village whilst you are there! They are yumm! 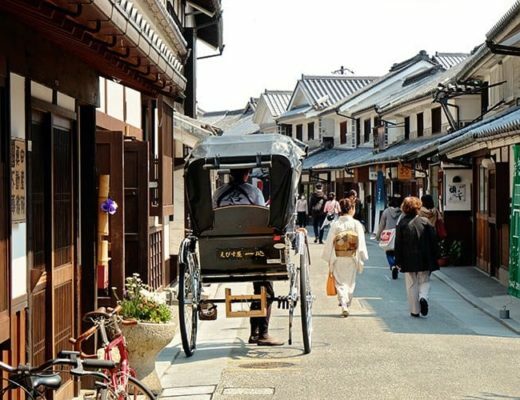 Even though most of the gassho-styled houses were built at the end of the Edo Period, the oldest one was built in the latter half of the 18th century. To ensure that the village remains impressive, these houses were built parallel to the Sho River and in an almost identical architectural design facing the same direction. Apart from the gassho-styled houses and the religious buildings, there are seven stone buildings including the toro stone lanterns and the tori gate of the Hachiman Jinja, the stone stairway of Myozen-ji and the stone wall of Honkaku-ji. There are also various accessory buildings including 25 wooden-walled storehouses, 10 toilet buildings, 3 mill-houses and 7 grain-drying shelters. 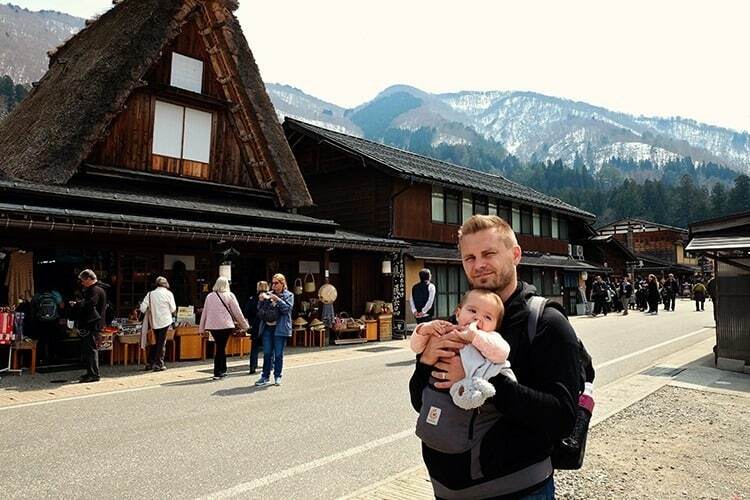 The Ogimachi Village remains arguably one of the most popular tourist destinations in Japan, and rightly so. Set at the backdrop of the holy Haku Mountain, this is a village that has stood the test of time to remain as culturally indigenous as it was in the 18th century. 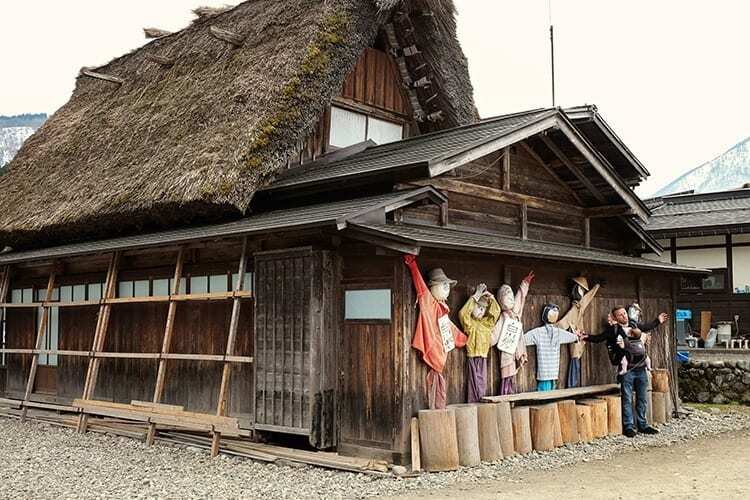 Despite being constantly bombarded by the pressures of modernity that has engulfed basically every other part of Japan, Ogimachi Village has stood its ground and continues to present the traditional way of living that the Japanese countryside was once known for. 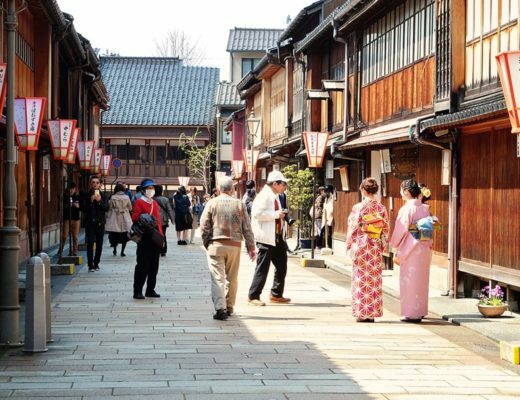 Visiting the Ogimachi Village will feel like a journey back to the old times. It’s undoubtedly a memory that you’ll carry with you for many years to come. 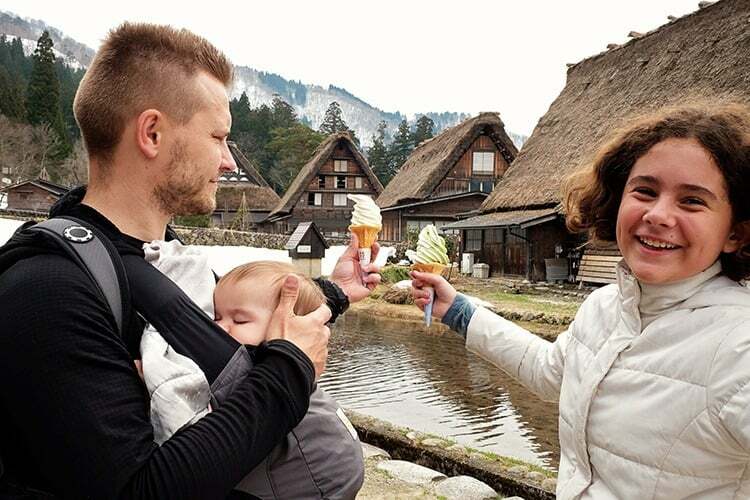 Remember to carry your cameras, because the Ogimachi Village is an utterly scenic and picturesque area; arguably much better than the Swiss Alps. 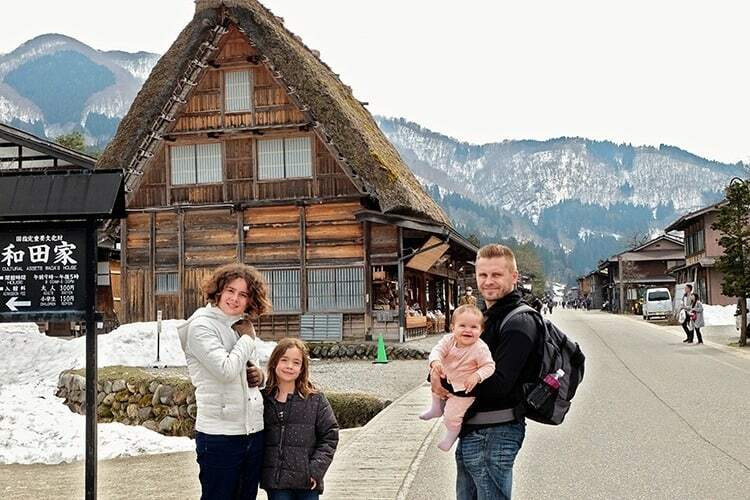 Get loads more information about this village on the Shirakawa-Go official website. 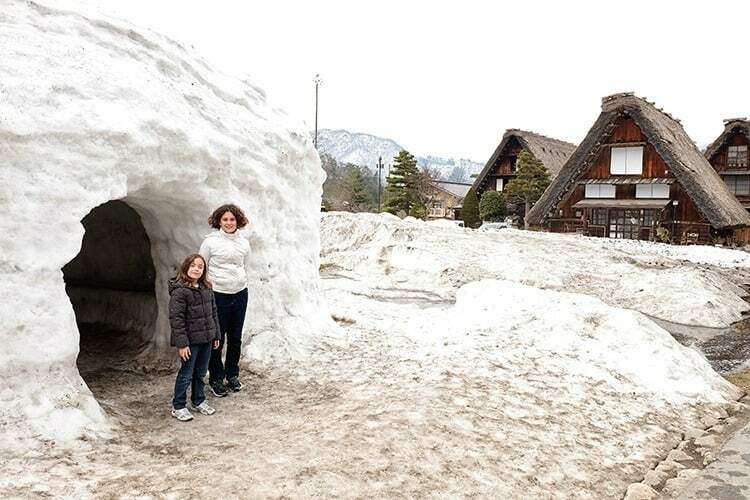 Have you been to Shirakawa-Go? What were your thoughts? Do you love visiting smaller villages whilst on holiday? This is the first time I’ve heard about Ogimachi Village and the place looks astonishing, Jolene. Your pictures caused the travel bug to itch me. When would it be the best time of the year to explore this place?